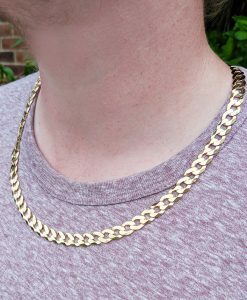 The classic solid gold curb chain necklace – a jewellery box staple for gents and ladies. 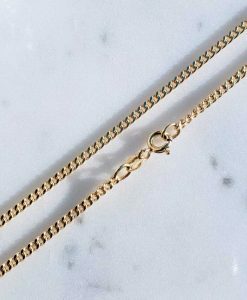 We stock a large selection of yellow gold, rose gold and white gold curb chains in lengths from the short to the long, and discreet widths to statement heavy gold curb chains. 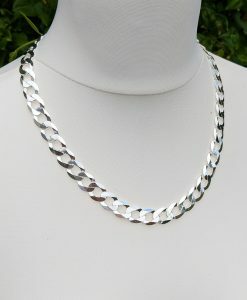 We also stock close curb chain and Cuban curb chains. Quality, hallmarked jewellery from Assay Assured jeweller. Shop with confidence. 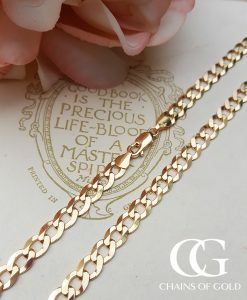 The curb chain necklace is perhaps the most classic of all the gold chains. 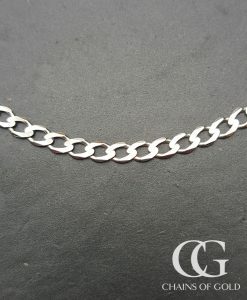 The curb chain consists of a simplistic design – flat oval links join one another, with a small groove allowing the next curb link along to sit flush. The edges of gold curb chains are bevelled or 'diamond cut', meaning they catch the light beautifully, making the 'simple' curb chain quite an eye-catching necklace. 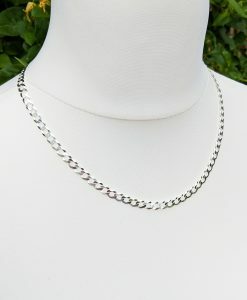 Curb chain necklaces are made in a huge variety of widths from the very fine pendant curb chain to the wide and heavy statement pieces. For standalone necklaces we find the mid-width curb chains the most popular, and we stock solid yellow gold curb chains from 2mm to 8.2mm wide, and solid white gold curb chains in 3mm to 6mm wide. Our solid silver curb chains vary from 4mm to 1.2cm wide, with our range of both ever expanding. 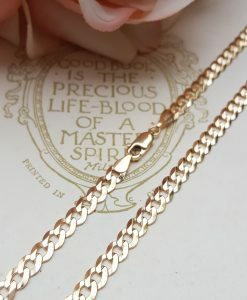 We source all of our gold and silver curb chain necklaces from Italy, where in our opinion, they make the best curb chain necklaces in the world. 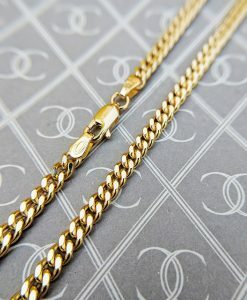 These chains are of exceptional quality and made to last. When we import these chains into the UK they are sent to the Assay Office for their gold purity to be checked and the clasps hallmarked. 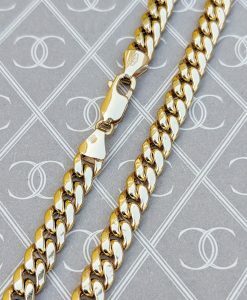 The curb chain necklace remains popular with both men and women, with women opting for more delicate feminine styles, often from which to hang a treasured pendant, and men often opting for heavier chains to wear as a standalone piece of jewellery. 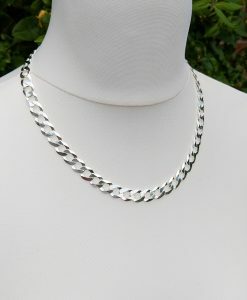 We gift wrap both our men's curb chains and women's curb chains beautifully, and all are delivered free of charge. We offer free 30 days returns within the UK too. A classic chain throughout history and the most popular chain today, the curb necklace is an enduring piece of jewellery that will never go out of fashion.